This is demolition journalism: breaking up with the previous, portraying new possibilities. Eight photographs show moments in the transformation, carried out by architects under 30, of several dwellings. Individually, each image freezes an instant of the process revealing an invisible reality; together, they reflect the work of this generation: refurbishments and renovations. 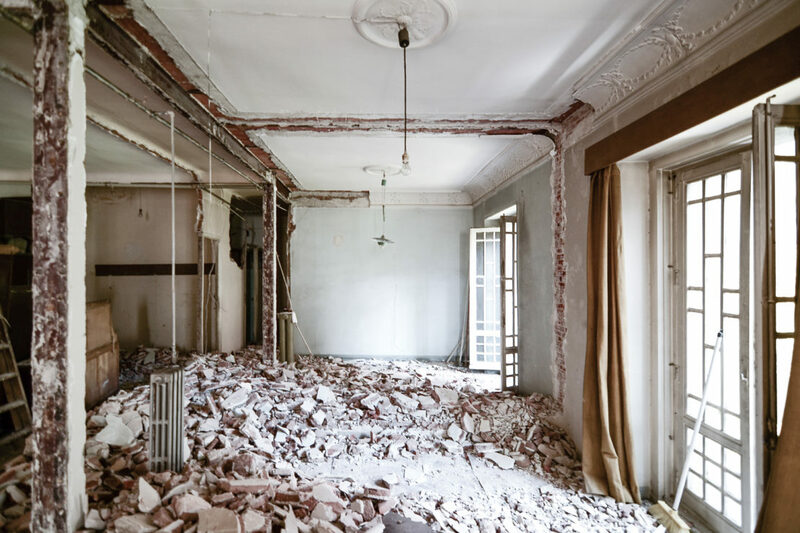 In tune with the theme of the Biennale, the series implicitly defends destruction over construction, or refurbishing instead of building from scratch. Demolishing means breaking with a previous state that unveils the invisible qualities, and alters the original work plans. The photographs don’t show the finished objects but rather the processes that describe them and the virtues found in them. Faced with the uncertainty of the finished, the unknown comes to the fore, the fragility of the processes. The unfinished.